One of the most frequently overlooked areas in a home is the foundation. The majority of homeowners do not think about the condition of the foundation of their home until there is a problem. 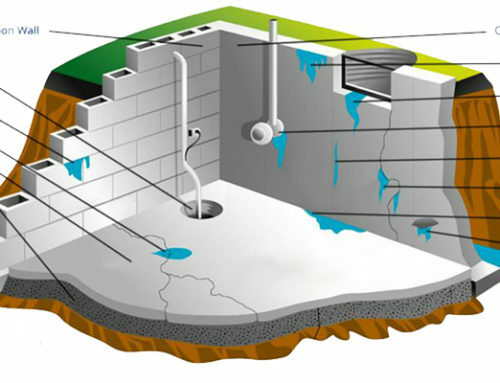 A foundation problem can occur almost without notice and foundation repair can range from small and simple to complex and expensive. Here are the most common types of foundation cracks and how they are repaired. Vertical cracks, or near-vertical cracks, are the most common type of cracks in the foundation. It is essential to keep in mind that just because the foundation is cracked, it does not mean that the foundation has failed or that serious foundation repair is required. If the vertical crack is narrow, does not have a lateral separation between the adjacent sections of the wall and there is no water leaking through, it is a fairly simple repair. These are typically shrinkage cracks and occur as the moisture in the wall evaporates, which causes the wall to shrink into a void that has been created by the escaping water. These types of cracks can be controlled or minimized with the use of horizontal reinforcing steel, which will help to distribute the stress in the wall. Horizontal cracks and/or stair-step cracks are typically caused by more serious problems, and they require immediate foundation repair. 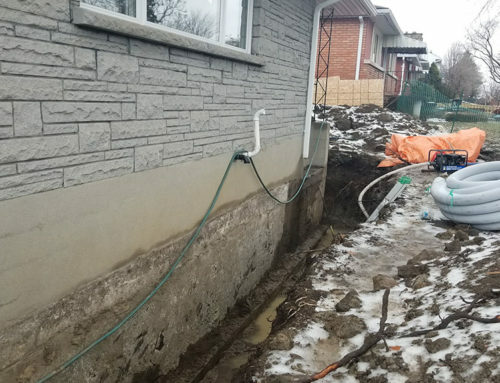 Usually, residential foundation walls are made to extend from the either the floor slab or the footing to the connection of the above floor structure. 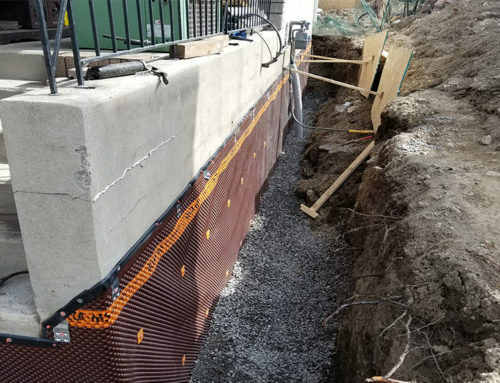 A concrete wall that is at least 8 inches in height and in normal soil conditions is typically strong enough to withstand the forces of the structure without vertical reinforcement. However, in certain conditions, such as an area with high ground water or when the wall is installed in expansive soil conditions, it needs additional reinforcement. If you notice a horizontal crack, you should contact a professional foundation repair company to determine if there is a structural risk. In most situations, when there is horizontal cracking, vertical reinforced steel will need to be installed. Depending on the depth of the cracks, the concrete blocks may need replaced. If the foundation is sinking excessively and causing the upper level to sag, reinforcement beams should be replaced and the foundation concrete repaired. A serious mistake many homeowners make is grabbing a caulk gun when they notice cracks in the foundation. Cracked foundation walls, stair-step cracks and a tilted chimney are often thought to be “normal settlement” of the home; although these situations do indicate settling, it is not what we’d call typical settling. In fact, it is often due to excessive settling of the soil, without a uniform degree of settlement. When the soil settles at different rates, it leads to foundation problems and simply caulking the cracks is only treating the symptoms, not solving the problem. It is essential that you contact a professional to inspect the foundation and the perimeter drain system to ensure there is no blockage. The foundation repair should be completed by a professional in order to prevent the risk of extensive and expensive damage to the entire structure of your home. For more information, please give the Renco Home Improvements team a call at 613-859-2228.